for May 16th are Joyful. R. Prayer is a lifting up of our minds and hearts to God. Who am I that I can change any event that is occurring in the lives of another, that I can affect the outcome of any event? I am a child of my Father. My Father is the Almighty God. How I love my dear Father. He is God and He has created me in His own image and likeness. My beloved, dear Father, how I love You that You give me such gifts - that You allow me to share in Your life! You are the Father of Jesus and You are My Father. Thank You, My Father, for all Your gifts and for Your life. Who am I that I can affect the life of any person? I am a child of God. I call on my dear Father and He loves me so, He listens to me. I lift my heart to You, my dear beloved Father and You listen to little me and You care for me so much. I call upon God and the Almighty God cares for me with such love that He listens. Jesus: Such truths have been given to you from My Father because of His great love for you. You are far more precious than the finest pearls, My beloved child. The Father so loved you He gave His Son so that you would have life. He gave His Son as a sacrifice for you. The Father gives to you His life through Jesus, His Son. You partake in His divine life. I am Jesus, Son of the Living God. My life I give to you, I live in your being, My beloved, I impart to you My divine life. How many turn their backs on the great gift of this life given from the Father. To know this life and to know all those who have rejected this great gift! I am the Almighty God, My power is endless. The power and might you felt within yourself is only a small sampling of My immense power. I am God and I am allowing you to experience what you are experiencing to spread My love to others. Your immense understanding into these mysteries will help you speak and write them for others. I have chosen you as an instrument to touch many hearts and bring them to My divine love. Great gifts and understandings into these mysteries I am giving to you. You will lead many priests to the love of God. I am alive. I am God. I long to be loved by man and many have turned their backs on Me and forgotten Me. You must tell them all I am allowing you to experience, these sufferings and understandings into My deep love. This is the beginning of many days when I will allow you to experience the rejection I felt from those I loved. Your heart is in immense pain for the souls who reject Me despite My love for them. I beg you to speak and write. Make reparation for souls that have forgotten My love. Spread the love of My Sacred Heart and My Mother's heart, throughout the world. I love, I love, I love My beloved souls. I beg you to tell them. I beg Fr. Carter to tell every soul on this earth of My love. You will continue to suffer such pain and anguish in your heart. Suffer in silence for souls. I love so deeply and am so gravely offended! I am Jesus, My dear, little child. I am alive and in this world. I live in the hearts of men, I live in the consecrated Host, I am forgotten and ignored and treated with such dishonor. Speak for Me, I beg you to spread this love throughout this earth. I am sending you as missionaries into this world. On this Ascension Thursday, I have given you great sufferings and great joy. I have allowed you to experience the highest ecstasies in My love and plunge you into deep pain in your heart for those who reject Me. You, I send as missionaries to carry out the work I have begun. Be fearless and pray to the Spirit. This day I am giving you abundant graces to speak, and through this speaking, others are sent into this world as My apostles. It is through the Shepherds of Christ Movement My love will be spread. 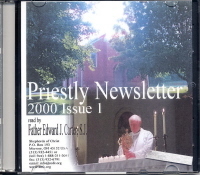 Circulate My messages and rosary meditations. The love of the two Hearts will be known throughout this world through these messages and rosary meditations. You will be fearless, everyone I send to you is a messenger to carry out My love. Circulate these letters with FIRE for I am delivering them to you in FIRE. I am Jesus Christ, the Living God. I am allowing you to experience My life, alive in you and giving you these emotions to spread My love. On this Ascension Thursday, I beg you to carry out the message to this world. Live My life in your life, every moment My life living within you. I am the Way, I am the Truth, I am the Life. I have commissioned you to go out and to carry this message - the message of My immense love for ALL mankind, including My burning love for My priests and religious. Souls will turn their hearts to Me from these letters. This is the mighty medicine to turn a sick, cold world to hearts filled with the love of God. Prayer, My beloved ones, is the lifting up of your minds and hearts to God. When you intercede to Me through My Mother's heart, I will pour out My greatest mercy. I will not refuse hearts begging for grace for their loved ones. Pray from your whole being. Let My life live in you. You can pray and ask God to send help. You do not know the power of a heartfelt prayer. I listen to your prayers. 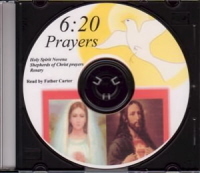 The Father and Holy Spirit are listening to your prayers. The more you unite with God, the greater you intercessory prayer. I am Jesus. I am alive this day. I ask you to spread My messages to the world. I am crying out in your heart on this Ascension Thursday. I ascended into heaven and I have left behind you to carry out what I began. I am with you. I am alive this day. I will unite with you and the earth will know the power of the Almighty God. I am Jesus Christ, Chief Shepherd of the flock. Lead My little ones home - home to the burning embers of My Most Sacred Heart, through My Mother's heart. R. I cried so hard, I have never been so immersed in heartache. I heard Him shout, "I Am Alive, I Am Alive." I cried so hard, I could hardly write. I know Him. He is alive in my being. My soul is filled with His love. I live the life of Jesus and Mary in my life. I love His life, her life - their presence forever with me. From this great gift, these rosary meditations, His life has become one with mine. I feel His life in the Mass. I hear Mary under the cross. I hear the cries for the souls going to hell for their willfulness and sins. I hear the laments of Jesus in the tabernacle - how He longs and thirsts for souls and is neglected and ignored. 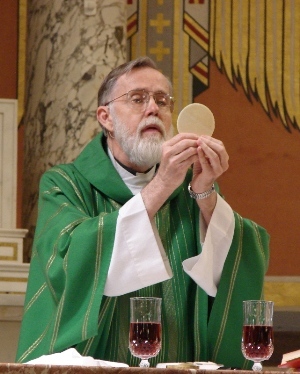 I hear Him tell of the sacrileges committed against the Holy Eucharist. I heard Him this day. I felt His presence and the presence of the Almighty God as He cries out, "I am alive, I am alive, I am alive." He is alive. We have the Mass. He gives us Himself in the Eucharist. Mary is appearing, we are given this rosary. We are sent as soldiers by Him in the Shepherds of Christ. We are thirsting for union with Him, sent by Him, apostles to go out to this world and spread His love, one with the Eucharistic Heart of Jesus, one with the Trinity. He will light this earth with hearts on fire for love of Him. Jesus: I come to you with greatest love, I am your loving Savior, I am your God, I died for you, I come to you this day. The earth shakes and the Son of Man appears. He lives in the hearts of all. I want hearts on FIRE for love of Me. I want vibrancy and love from My beloved ones. Hold not back My love from this world. R. I adore you, Oh Lord, I praise you, I worship you, I bless Him with my whole soul. My soul proclaims the greatness of the Lord and holy, holy is His name! Jesus wants souls that are holy, on fire with the love of Jesus. Make novenas to the Holy Spirit to have hearts on FIRE with the love of God. Sound the trumpet, sound the gong - Jesus LIVES - He lives this day! Alleluia. Sunday is a special day to praise Him, to love Him, to pray to Him - His day to be honored and worshipped in a special way. Pray from a pure and holy heart, a heart that sings for love of the Lord. Pray from your whole being. Dear Father, we come to You in the name of Jesus, in union with Him in the Holy Sacrifice of the Mass, in the Holy Spirit. We come to You united to the Child Jesus of Good Health and the Infant of Prague. We come to You in the perfect, sinless heart of Our Mother Mary, asking her powerful intercession, uniting ourselves to her holy tears. We come to You united to all the angels and saints, and the souls in purgatory. We pray for an outpouring of the Holy Spirit on us, to be baptized by the Holy Spirit, that He will descend mightily on us as He did on the Apostles at Pentecost. That the Holy Spirit will transform us from fear to fearlessness and that He will give us courage to do all the Father is asking of us to help bring about the Reign of the Sacred Heart and the triumph of Mary's Immaculate Heart. We pray for the Holy Spirit to descend mightily on the Jesuits and the Poor Clares on the Shepherds of Christ leaders and members and on the whole Body of Christ and the world. We pray that the Blood of Jesus will be spread on us, everyone in our families, and the Shepherds of Christ Movement, that we will be able to move steadfastly ahead and be protected from the evil one. We pray for healing in body, mind, and soul and generational healing in ourselves, in all members in our families, and in all members of the Shepherds of Christ Movement, the Jesuit Community, the Poor Clares, the Body of Christ, and the world. We adore You, oh Holy Spirit. Give us strength, give us light, console us. We give ourselves entirely to You. Oh Spirit of light and grace, we want to only do the will of the Father. Enlighten us that we may live always in the Father's will. Eternal Spirit fill us with Your Divine Wisdom that we may comprehend more fully insight into Your Divine Mysteries. Give us lights, Oh Holy Spirit that we may know God. Work within the heart, the spiritual womb of the Virgin Mary, to form us more and more into the image of Jesus. We long for You, Oh Spirit of Light, we long to know God, we want to be one with Him, our Divine God. We want to be one with the Father, know Him as a Person most intimately. We want to know the beloved One, the Sacred Heart of Jesus, and live and dwell in Him at all times, every moment of our lives. We want to be one with You, Oh Spirit of Light, that You move in us in our every breath. Let us experience life in the Sacred Heart of Jesus, so we can say as Saint Paul, "I have been crucified with Christ and yet I am alive; yet it is no longer I, but Christ living in me...." Let us live, united to the Mass, all through the day being one in Him. Let us be able to love and know in this elevated state of oneness with our God. We long for Thee, oh beauteous God, we love You, we love You, we love You. We praise You, worship You, honor You, adore You, and thank You, our beloved God, Father, Son, and Holy Spirit. We seek to be one in God, to live and dwell in the Hearts of Jesus and Mary, our little heaven on earth, to experience life in the all perfect, pure, sinless heart of our Mother. We want the Holy Spirit to move in us and to be united to Jesus as the Bridegroom of our souls and be a most perfect sacrifice offered to the Father at every moment as we unite in the Holy Sacrifice of the Mass around the world to help in the salvation of souls. Come Holy Spirit, come, come into our hearts, inflame all people with the fire of Your love. Leader: Send forth Your Spirit and all will be reborn. We pray for the seven gifts of the Holy Spirit, we ask for perfection in our souls to make us holy, holy souls likened to God. Dear Holy Spirit, we give ourselves to You soul and body. We ask You to give us the Spirit of Wisdom, Understanding, Counsel, Fortitude, Knowledge, Piety, and Fear of the Lord. We know, dear Holy Spirit, the Word in His human nature was brought forth within the womb of the woman. We pray that His word will be brought forth in our hearts as He lives and dwells in us. We want the incarnation to go on in our lives. Dear Holy Spirit, work in us. Dear Holy Spirit, help us not to be ignorant or indifferent or weak, help us to be strong with the love of God. Dear Holy Spirit, please pray for our needs for us. Dear Holy Spirit, help us to respect God and to avoid sin. Help us to live in the Father's will. Dear Holy Spirit, help us to keep Your commandments and to respect authority. Help us to love all things as You will us to love them. Help us to want to pray and always serve God with the greatest love. Help us to know the truth. Help us to have the gift of faith, hope, and love. Help us to know what is right and what is wrong. As he said this he was lifted up while they looked on, and a cloud took him from their sight. So from the Mount of Olives, as it is called, they went back to Jerusalem, a short distance away, no more than a Sabbath walk; and when they reached the city they went to the upper room where they were staying; there were Peter and John, James and Andrew, Philip and Thomas, Bartholomew and Matthew, James son of Alphaeus and Simon the Zealot, and Jude son of James. With one heart all these joined constantly in prayer, together with some women, including Mary the mother of Jesus, and with his brothers. Anyone who loves me will keep my word, and my Father will love him, and we shall come to him and make a home in him. Anyone who does not love me does not keep my words. And the word that you hear is not my own: it is the word of the Father who sent me. I have said these things to you while still with you; but the Paraclete, the Holy Spirit, whom the Father will send in my name, will teach you everything and remind you of all I have said to you. Peace I bequeath to you, my own peace I give you, a peace which the world cannot give, this is my gift to you. Do not let your hearts be troubled or afraid. You heard me say: I am going away and shall return. If you loved me you would be glad that I am going to the Father, for the Father is greater than I. I have told you this now, before it happens, so that when it does happen you may believe. I shall not talk to you much longer, because the prince of this world is on his way. He has no power over me, but the world must recognise that I love the Father and that I act just as the Father commanded. Come now, let us go. I am no longer in the world, but they are in the world, and I am coming to you. Holy Father, keep those you have given me true to your name, so that they may be one like us. While I was with them, I kept those you had given me true to your name. I have watched over them and not one is lost except one who was destined to be lost, and this was to fulfil the scriptures. But now I am coming to you and I say these things in the world to share my joy with them to the full. I passed your word on to them, and the world hated them, because they belong to the world no more than I belong to the world. I am not asking you to remove them from the world, but to protect them from the Evil One. They do not belong to the world any more than I belong to the world. Consecrate them in the truth; your word is truth. As you sent me into the world, I have sent them into the world, and for their sake I consecrate myself so that they too may be consecrated in truth. I pray not only for these but also for those who through their teaching will come to believe in me. May they all be one, just as, Father, you are in me and I am in you, so that they also may be in us, so that the world may believe it was you who sent me. I have given them the glory you gave to me, that they may be one as we are one. With me in them and you in me, may they be so perfected in unity that the world will recognise that it was you who sent me and that you have loved them as you have loved me. Father, I want those you have given me to be with me where I am, so that they may always see my glory which you have given me because you loved me before the foundation of the world. Father, Upright One, the world has not known you, but I have known you, and these have known that you have sent me. I have made your name known to them and will continue to make it known, so that the love with which you loved me may be in them, and so that I may be in them. In fact, however, Christ has been raised from the dead, as the first-fruits of all who have fallen asleep. As it was by one man that death came, so through one man has come the resurrection of the dead. Just as all die in Adam, so in Christ all will be brought to life; but all of them in their proper order: Christ the first-fruits, and next, at his coming, those who belong to him. After that will come the end, when he will hand over the kingdom to God the Father, having abolished every principality, every ruling force and power. For he is to be king until he has made his enemies his footstool, and the last of the enemies to be done away with is death, for he has put all things under his feet. But when it is said everything is subjected, this obviously cannot include the One who subjected everything to him. When everything has been subjected to him, then the Son himself will be subjected to the One who has subjected everything to him, so that God may be all in all. 'Write to the angel of the church in Sardis and say, "Here is the message of the one who holds the seven spirits of God and the seven stars: I know about your behaviour: how you are reputed to be alive and yet are dead. Wake up; put some resolve into what little vigour you have left: it is dying fast. So far I have failed to notice anything in your behaviour that my God could possibly call perfect; remember how you first heard the message. Hold on to that. Repent! If you do not wake up, I shall come to you like a thief, and you will have no idea at what hour I shall come upon you. Anyone who proves victorious I will make into a pillar in the sanctuary of my God, and it will stay there for ever; I will inscribe on it the name of my God and the name of the city of my God, the new Jerusalem which is coming down from my God in heaven, and my own new name as well. They sang a new hymn: You are worthy to take the scroll and to break its seals, because you were sacrificed, and with your blood you bought people for God of every race, language, people and nation and made them a line of kings and priests for God, to rule the world. Worthy is the Lamb that was sacrificed to receive power, riches, wisdom, strength, honour, glory and blessing. To the One seated on the throne and to the Lamb, be all praise, honour, glory and power, for ever and ever. And the four living creatures said, 'Amen'; and the elders prostrated themselves to worship. Now a great sign appeared in heaven: a woman, robed with the sun, standing on the moon, and on her head a crown of twelve stars. She was pregnant, and in labour, crying aloud in the pangs of childbirth. Then a second sign appeared in the sky: there was a huge red dragon with seven heads and ten horns, and each of the seven heads crowned with a coronet. Its tail swept a third of the stars from the sky and hurled them to the ground, and the dragon stopped in front of the woman as she was at the point of giving birth, so that it could eat the child as soon as it was born. The woman was delivered of a boy, the son who was to rule all the nations with an iron sceptre, and the child was taken straight up to God and to his throne, while the woman escaped into the desert, where God had prepared a place for her to be looked after for twelve hundred and sixty days. And now war broke out in heaven, when Michael with his angels attacked the dragon. The dragon fought back with his angels, but they were defeated and driven out of heaven. Next in my vision I saw Mount Zion, and standing on it the Lamb who had with him a hundred and forty-four thousand people, all with his name and his Father's name written on their foreheads. I heard a sound coming out of heaven like the sound of the ocean or the roar of thunder; it was like the sound of harpists playing their harps. There before the throne they were singing a new hymn in the presence of the four living creatures and the elders, a hymn that could be learnt only by the hundred and forty-four thousand who had been redeemed from the world. These are the sons who have kept their virginity and not been defiled with women they follow the Lamb wherever he goes; they, out of all people, have been redeemed to be the first-fruits for God and for the Lamb. No lie was found in their mouths and no fault can be found in them. One of the seven angels that had the seven bowls full of the seven final plagues came to speak to me and said, 'Come here and I will show you the bride that the Lamb has married.' In the spirit, he carried me to the top of a very high mountain, and showed me Jerusalem, the holy city, coming down out of heaven from God. The one who attests these things says: I am indeed coming soon. Scriptural quotations are taken from The New Jerusalem Bible, Doubleday & Co.
Imprimatur granted by Cardinal Hume.